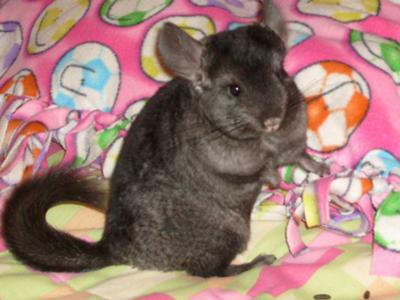 my chinchilla is a black ebony chinchilla. she is 2 years old and her name is ava she is extremily fast and loves to snuggle she is very smart and follows her friends around all day. She is absolutely adorable! I have never seen a chinchilla so adorable in my life! By the way, you are so lucky she loves to cuddle!